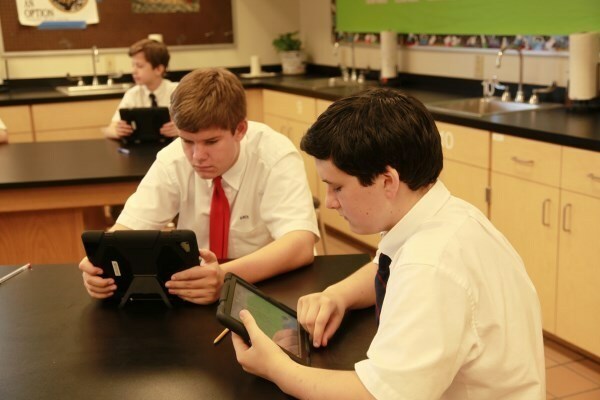 All Saints School successfully implemented 1:1 iPads throughout the school during the 2013-2014 school year. 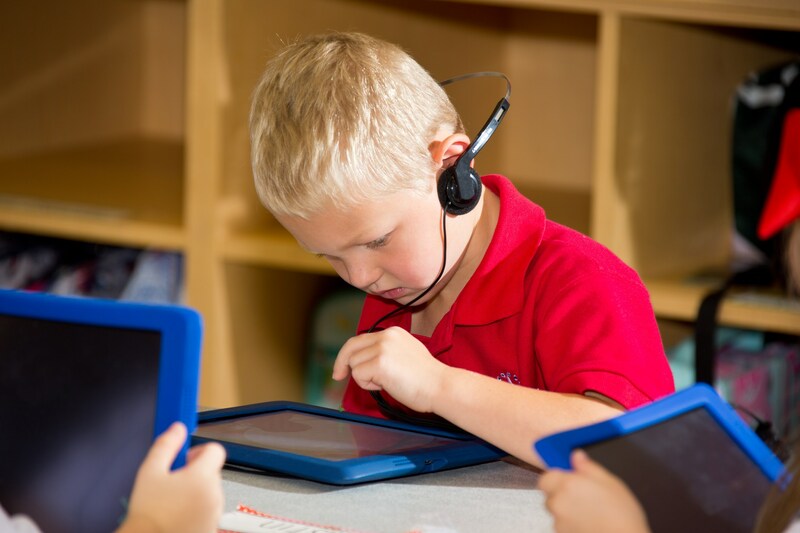 Grades PK-4 have a class set of iPads to use in their classrooms throughout the school day. 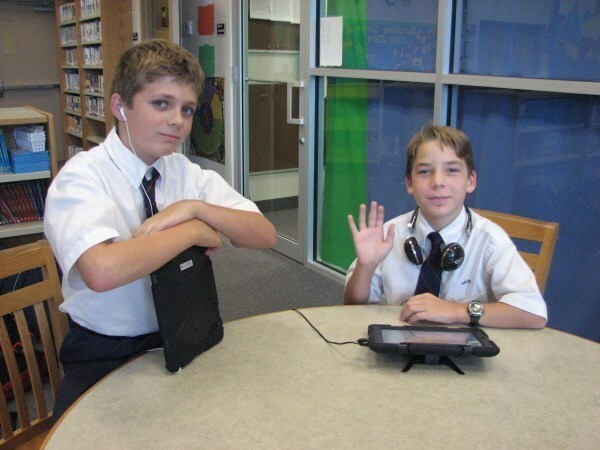 Students in grades fifth through eighth are assigned their own iPad to use in school and at home to do their class work. We are thankful to the pastors for their support in helping us to become a first-class technological school. The program continues to grow and improve each year. 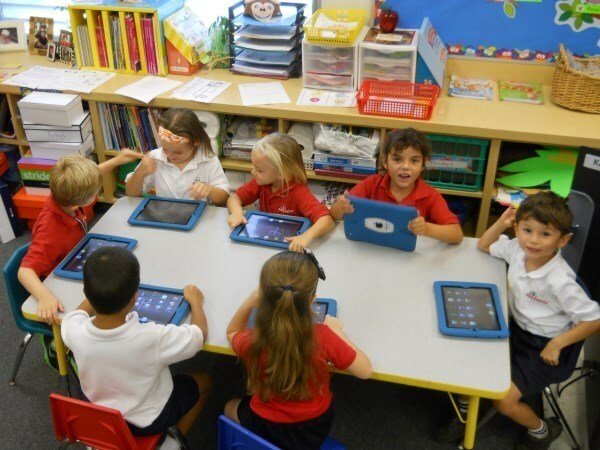 Why iPads? 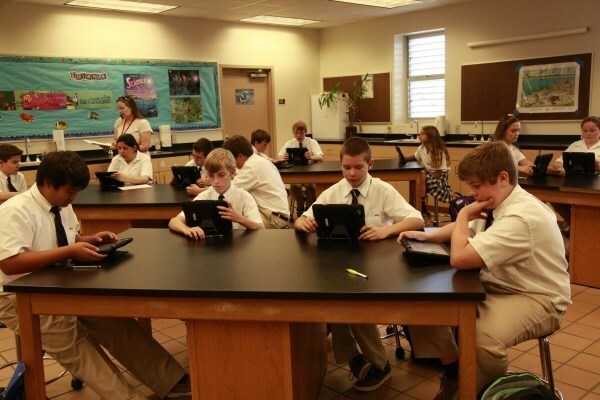 iPads enable us to better provide all faculty & students with a technological tool that will enhance student learning and achievement while bringing higher order thinking skills to a new level. This tool affords students greater opportunities to be productive students and citizens in a meaningful way as they enter a global environment that will require greater technology skills, collaboration, and teamwork. Planning for the program began at the end of 2012. Teachers received their iPads in March of 2013 and quickly began exploring apps and learning how to use and implement the device within their classrooms. With over 475 iPads, summer was a very busy time preparing iPads for student use and loading apps. 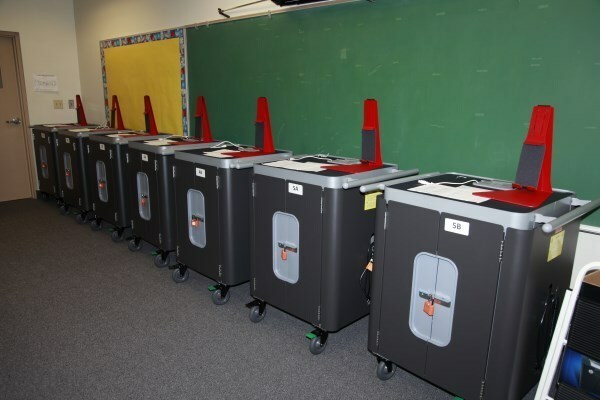 Each classroom, Pre-K through Fifth grade, has their own Bretford Sync and Charge cart where the iPads can be charged, updated, synced and loaded with new apps. 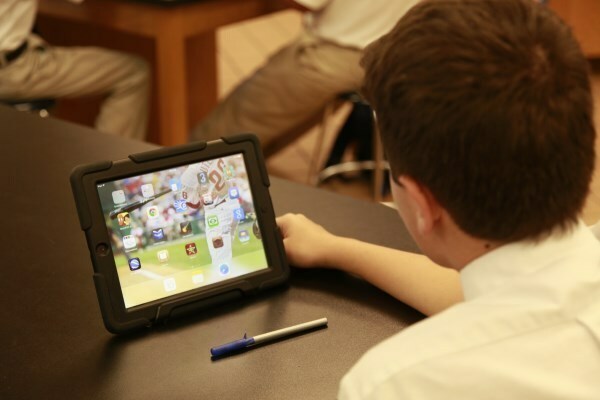 Middle School iPads are prepared in the same way, but they are able to take their iPads home with them each day. 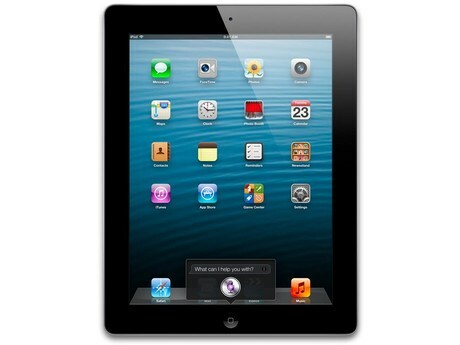 iPads are monitored through the use of a Mobile Device Management system called Lightspeed. From early on, teachers have been busy attending professional development workshops both on and off campus to continue to learn ways to integrate technology and mobile devices in their teachings. The iPads are managed and prepared by Mrs. Michelle Kleisley, a 21st Century Technology Specialist. 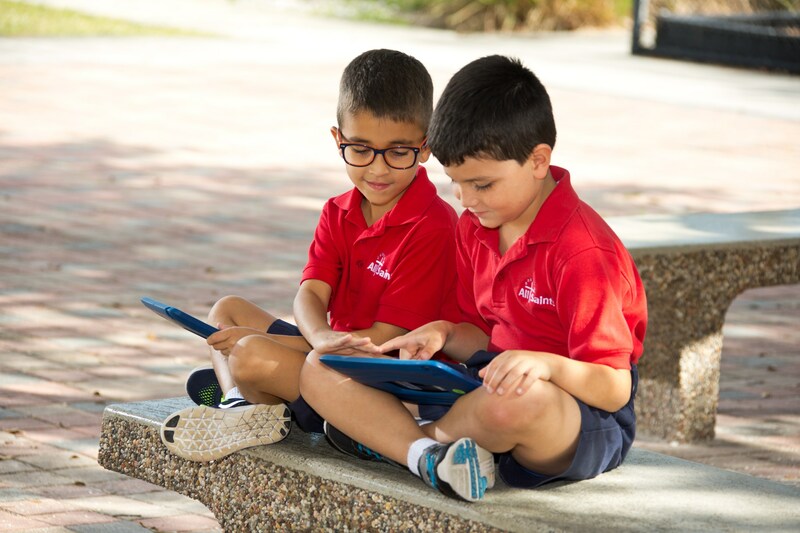 For questions on the iPad program, please contact Mrs. Kleisley at mkleisley@allsaintsjupiter.org. All Saints Catholic School is excited to announce that it was published and featured in the Summer 2015 National Catholic Educational Association Magazine, Momentum. Mrs. Jill Broz and Mrs. Michelle Kleisley collaborated to discuss technology and implementing a 1:1 iPad program. 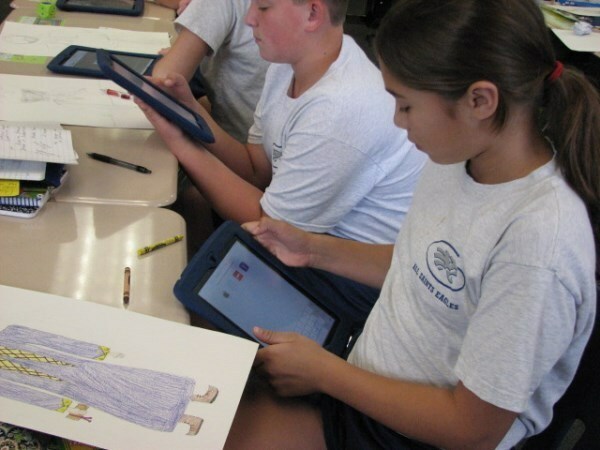 The article assists other schools who are considering or beginning a 1:1 program. 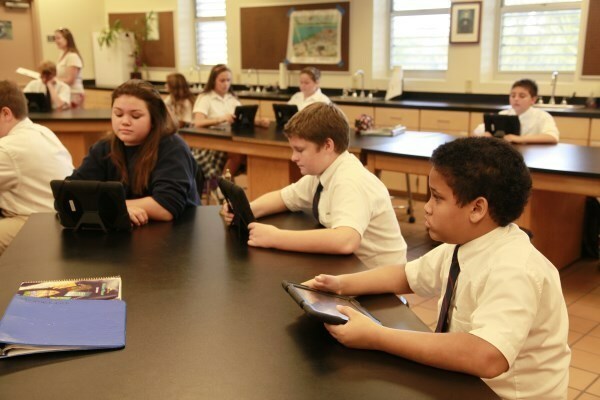 We thank Fredy Padovan from Immaculata-LaSalle and Momentum Magazine for this opportunity and recognition as a front runner of 1:1 iPad programs. The article is attached below. Apps are loaded on student iPads by the school. 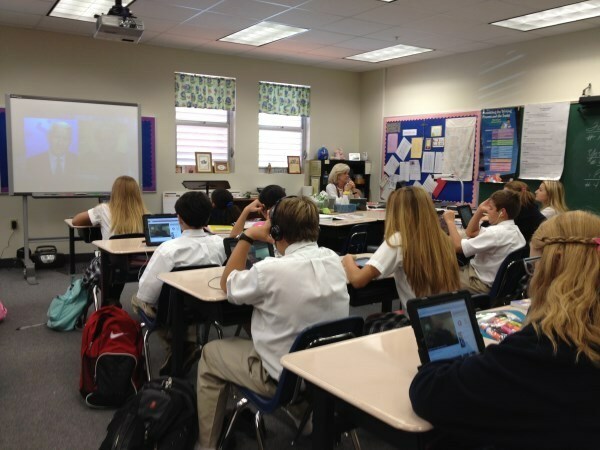 Apps are carefully chosen by administration, the technology committee, and teachers to enhance learning. Each quarter, new apps are requested and loaded. Below is a current app list for students in grades pre-k through eighth grade.